Hi, folks! I’m Dave Houser, and I’m currently serving as President of our local organization. Welcome to the website of Ring 352 of the International Brotherhood of Magicians. This site is a work-in-progress as we continue to explore new and novel uses of the magic of the internet. We are the local chapter of this worldwide organization. Our goal is to provide a meeting place for performers, hobbyists, historians, and other enthusiasts for the magical arts. The club membership consists of people who have been associated with magic for a relatively short time, as well as those whose fascination has continued for more than a quarter century. So once a month, the group gathers to share stories, routines, and news of other members of the fraternity. 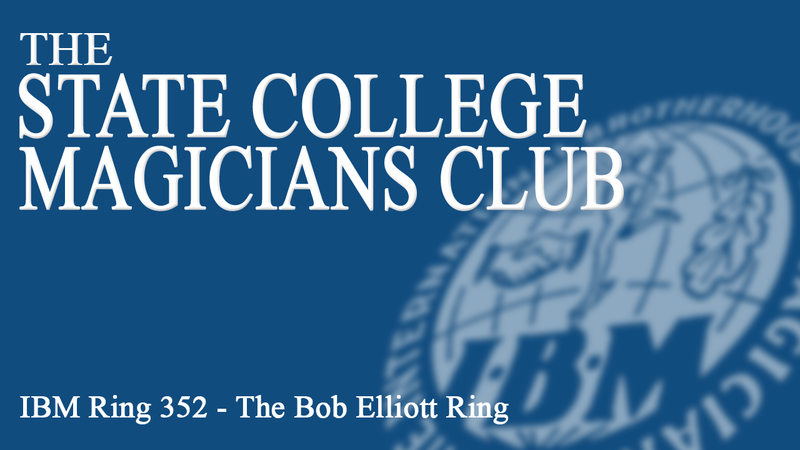 Occasionally, we will host lectures in State College by well known performers for the education and entertainment of our membership and other magicians from around the state. Also, the group will present performances as a way of making our existence known to the area and providing an entertaining way of connecting with the community and those with an interest in magic. We meet at Center Of Government building in State College, Pennsylvania on the second Friday of the month. We would love to have you drop by and visit.